Congratulations: You’ve Designed The Perfect Un-Manufacturable Part. Now what? Have you designed an un-manufacturable part? A good production engineer should be able to design any part, but a great engineer needs to make sure they don’t forget to consider all the production process consequences of their otherwise perfectly-designed part. “A lot of times an engineer designs a part for a specific application but they don’t always take into account the assembly method or the production method. Yes, the part might work in the final application but that part might cost precious time and money if the part is cumbersome or hard to handle in assembly. He or she needs to make sure they don’t forget to consider the production process consequences of an otherwise perfectly designed part. Fortunately, Gasket Engineering can provide guidance and solutions. One of the most common problems we solve has to do with manufacturability. Gasket Engineering staff help customers with the design of manufacturability, rather than just the functionality of the part itself. 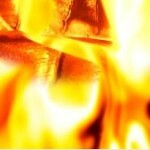 There are several aspects of any job that need to be evaluated. The questions are vital because all materials are different and some may need some sort of backing or some type of rigidity to facilitate manufacturing. We’re always looking for ways to be more efficient in the materials that we use and in the way those materials are put together. Some engineers are proficient only with the materials themselves and this can lead to less than optimal product design. This is the way you end up with an un-manufacturable part. You have to take into consideration the whole production process when you’re developing a part. Smooth Assembly Versus Higher Yield: Which Is More Profitable In The End? All of these questions are meant to help our engineers determine the best way to produce a part that will maximize the client’s overall profitability, not just the cost of the individual part. One element we think about is: “what is more important, speed of assembly or yield?” For example, it may be wiser in some circumstances to sacrifice the number of parts (lowering yield efficiency) in exchange for greater efficiency in assembly (increased speed of production). If there is minimal difference in the waste, it might be wiser to alter how the part is produced. At first blush, a particular job might appear to be most efficiently produced as ten pieces lined up across from each other, but when considering the manufacturing process, we might discover that the parts are getting pulled through and assembled by a robotic arm right into the fixture. In that case, it might make more sense to produce them in a straight line with a quarter-inch gap in between. We might add a perforated liner or peel tab which makes the part itself more expensive but could save the customer assembly time and lower their overall scrap rate. This could increase their overall profitability, which is the ultimate goal. In that case, the trade-off of potentially higher waste still saves the customer money on the production flow. With more than 60 years of experience serving customers in the aerospace, alternative energy, automotive, heavy equipment, electronics, industrial, marine and medical fields, our experience leads us to ask the right questions to help you avoid designing an un-manufacturable part and help you make the right decisions to maximize your profitability. 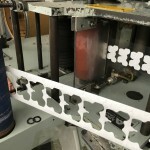 By thinking through the entire production process and working closely with Gasket Engineering, a customer can expect a more robust product for their specific manufacturing needs, as opposed to just a designed part. The part will work in your application, with your manufacturing, but will also provide increased productivity, increased throughput, less waste and ultimately, higher profitability. 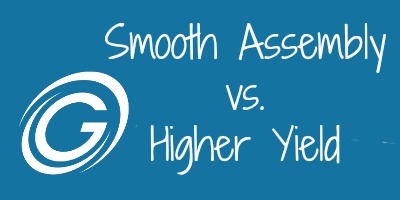 https://www.gasketeng.com/wp-content/uploads/2016/11/smooth-assembly-vs-yield.jpg 200 400 Rahna https://www.gasketeng.com/wp-content/uploads/2015/10/Gasket-HeaderLogo1-300x91.png Rahna2016-11-15 18:14:452016-12-09 17:45:02Congratulations: You’ve Designed The Perfect Un-Manufacturable Part. Now what?